A sensational five days of racing kicks-off today at Glorious Goodwood and Ladbrokes News is here to give you our best bets from day one of this highlight of the flat racing season. 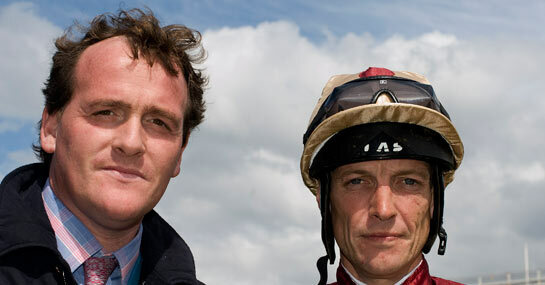 And it looks to be a day to follow the famous combination of trainer Richard Hannon and champion jockey Richard Hughes in Sussex. Goodwood has proved to be an excellent hunting ground for the Richard Hannon camp over the years and with Richard Hughes on board, BEACON can get things started this time around for the Wiltshire-based stables. The speedy two-year-old had no problems seeing off Mukhmall and Union Rose in a Listed contest at Sandown last month and looks the right one to be on in this Group 3 contest. Cotai Glory, who likes the fast ground, looks a danger over this five furlong contest, while the Hannon second string, Dougal and Spirit Of Xian could also feature. All eyes will be on another Hannon runner in the Group 2 Lennox Stakes with TOORMORE the leading fancy. The Craven Stakes winner was not quite at his best when racing over a mile in the 2000 Guineas or the St James’s Palace Stakes but a return to seven furlongs will suit Hughes’ mount. Last year’s winner Garswood will be hoping for some rain down in Sussex to help his challenge, while Boom and Bust was third at last year’s renewal but it’s Toormore who gets the vote and can return to winning ways. Mark Johnston’s horses have been absolutely flying in recent weeks and with SKYTRAIN now back down to a winning mark he could be one to have a punt on in this mile handicap race. This four-year-old has gradually been dropping down the weights and is now back down at the same mark as when winning at Newmarket a year ago and with Joe Fanning on board he could well go close again.